I’m so excited that this is the leap that people are making, because it’s so much easier to assess an arts integrated lesson using a standards based grading approach. One of the concerns of many educators who are dipping their toes into arts integration is in how to authentically assess an arts integrated lesson if they are not an expert in the other content area. This can be a concern for both classroom teachers (about the arts content) and arts educators (who may feel intimidated by the classroom content). How can you assess students in a topic area where you are unfamiliar? In today’s video, I’m going to share with you not only WHY using Standards Based Grading makes an arts integration lesson easier to assess, but also HOW to do so in a quick and efficient process. This will make your conversations with students richer and make collaboration with your colleagues more meaningful. 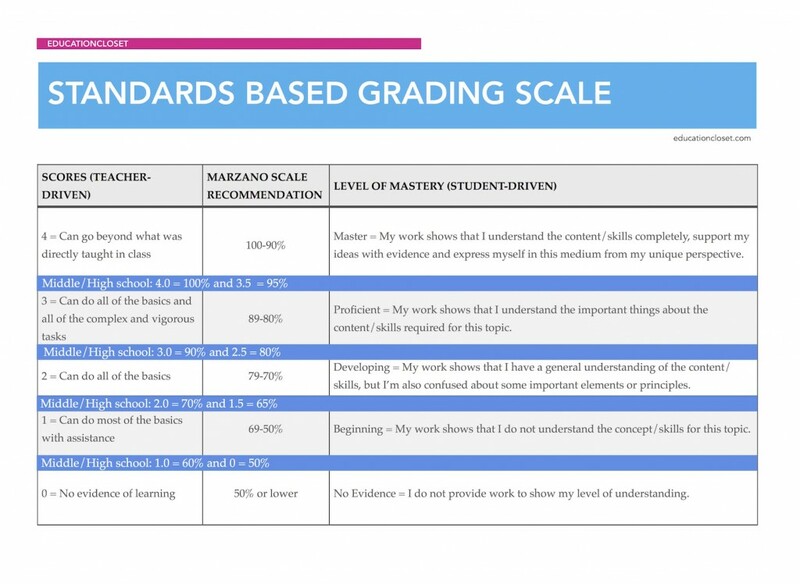 The focus of SBG is on a student’s mastery of a standard, NOT a cumulative grade. This means that students are being assessed based upon their level of work towards meeting a standard. This provides a snapshot of students’ learning of each standard discretely, rather than just in one lump grade at the end of a unit. Additionally, intangibles that are not distinctly a part of the standard (time in class, effort, participation, etc) cannot be included in the grade. Why Should we Use SBG? This is a great tool to put up in your classroom where students can see it at all times. It helps them to think about their own understanding, ask for help when they need it, and to give everyone a common framework for their efforts. Standards Based Grading is a great way to provide opportunities for differentiation and offer a bigger focus on using standards as the base for assessing student process and product. It can also finally allow students to take a key role in their own assessment. Together, we can work towards understanding a complete picture of student learning! So…are you ready to give Standards Based Grading a try with your lessons? What are some other challenges or opportunities for success do you see with this approach? Let us know in the comments below – we’d love to continue this conversation!